Written by a Grenadian, The Nutmeg Princess is the story of how two friends learned that selfishness and greed aren’t rewarding, and that there’s richness in being kind — now 95 on the top 100 books recommended for children by a parenting website in Canada. “It is a great honour for me, to have my book selected in the top 100 books of all time for children in Canada. It is very humbling and at the same time makes me proud, since it was my first book I ever wrote for children and the story is set in my beautiful Grenada,” said Richardo Keens-Douglas, author of The Nutmeg Princess. “It’s wonderful that Today’s Parent of Canada selected my book. 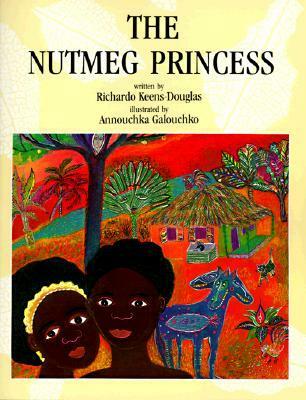 Thank you Canada for continuing to celebrate The Nutmeg Princess from Grenada,” said Keens-Douglas, who is also pleased that there are some teachers who buy the books on their own, to share it with the Grenadian children in their classroom. “Maybe one day it will be a permanent fixture in our own school curriculum and children will be able to say we have our very own Fairy Tale from the Isle of Spice,” said the cultural activist, who has produced many plays and wrote other books for children. The website said that it came up with the list after surveying experts from coast to coast to help them create this awesome list of titles. In the top position was “The Sky is Falling.” This book is written by Kit Pearson and tells the story of two children moving from England to Canada. Set during World War II, 10-year-old Norah and her brother are sent away from their parents in England to navigate a new life in Canada, in this touching historical account. In second position is: “Anne of Green Gables” which is written by L.M. Montgomery. It is a melodramatic and relatable story of how Anne-with-an-E is an 11-year-old orphan who finds love, loss and belonging in picturesque Prince Edward Island.